David A. Ludgin is Counsel in Cummings & Lockwood's Private Clients Group and is based in the Bonita Springs office. His practice focuses on estate planning and administration, charitable planning and closely-held business succession planning. He has implemented numerous estate and business succession plans, having prepared irrevocable life insurance trusts, charitable remainder and lead trusts, grantor retained interest trusts, shareholder agreements and stock purchase agreements. His clients include closely-held business owners, business executives and affluent families. 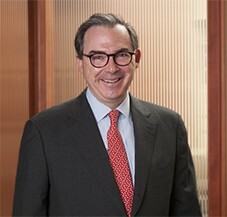 Before joining Cummings & Lockwood, David practiced for over 35 years with the law firm of McCarter & English in their Newark, New Jersey office. Implemented a multi-generation estate plan utilizing a charitable lead trust to reduce estate tax. Established and obtained IRS approval for an employer-sponsored college scholarship program. Prepared a shareholder agreement with reciprocal put and call provisions for a corporation with multi-generation stockholders. Organized an LLC to facilitate continued ownership of a vacation property by disparate branches of an extended family. Implemented a gift-giving program to transfer a legacy real estate holding from grandparents to children and grandchildren, and then advised the family upon the eventual disposition of the property. Prepared documentation concerning consolidation of trusts.